The bassoonist from Bolzano in Northern Italy completed his musical training in his native city with Romano Santi, then later in Hannover with Klaus Thunemann. After three years on the faculty of the Conservatorio Benedetto Marcello in Venice, he put the finishing touches on his performance at the Karajan Academy of the Berlin Philharmonic Orchestra, while concurrently, from 1986 to 1991 performing as a member of the Youth Orchestra of the European Community. He was awarded a number of prizes at international competitions, including the ones in Martigny, Ancona and Prague. His concert activity subsequently took him to the United States, Japan, Korea and South America. He has appeared as soloist in a number of bassoon concertos with such eminent conductors as Semyon Bychkov, Carlo Maria Giulini, Kent Nagano, Lorin Maazel, Wolfgang Sawallisch and Franz Welser-Möst. After four years as principal bassoonist in the Orchestre de Paris, he assumed the same position in the Symphonieorchester des Bayerischen Rundfunks in Munich in 1994. Marco Postinghel performs the classic repertoire as well as the baroque literature on period instruments and also concertizes with such ensembles as Concerto Italiano, the English Baroque Soloists, I Barocchisti, the Accademia Bizantina and Musica Saeculorum. 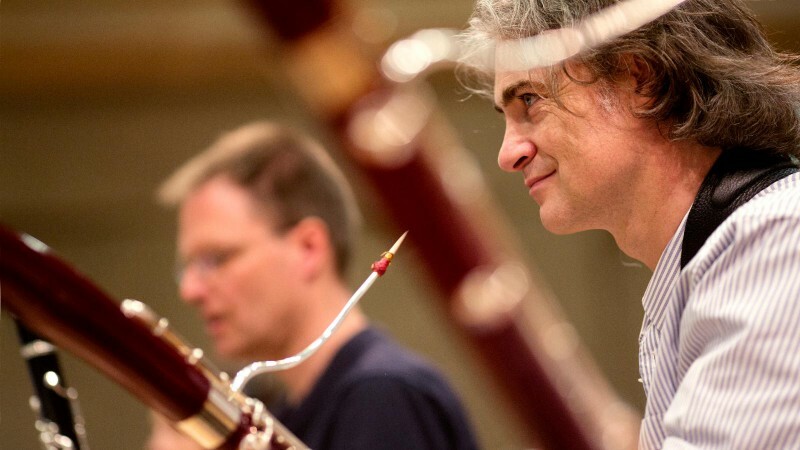 The bassoonist also appears with orchestras that primarily specialize in cotemporary music such as the Ensemble Ricerca Nuova and dem Ensemble Modern, as well as chamber orchestras like the Chamber Orchestra of Europe, dem Mahler Chamber Orchestra and the Cappella Andrea Barca. Meanwhile Marco Postinghel has assumed a professorship at the Mozarteum in Salzburg, and also teaches at the Mahler Academy in Ferrara and Bolzano as well as at the Scuola di musica di Fiesole in Italy and is a woodwind instructor with the Gustav Mahler Youth Orchestra. He conducts master classes in bassoon and chamber music in Germany, Great Britain, France, Italy, Austria, Portugal, Spain, Korea and Japan. Marco Posinghel has also served as a juror at international competitions such as the competitions in Tokyo and the ARD International Music Competition in Munich.